There are two schools of thought when it comes to planning hyperlocal content. One is that less planning is more. With fewer restrictions on what you’ll post and when and where you’ll post it, you’re free to follow the needs of your business! That’s a dangerous way to practice HyperLocal marketing, though. It’s all too easy to forget about or ignore your marketing campaign — or reach the end of a week and realize you haven’t posted anything, then scramble to say something and wind up wasting your time on a piece of content that was never going to resonate with your audience but was easier than finding something that would. 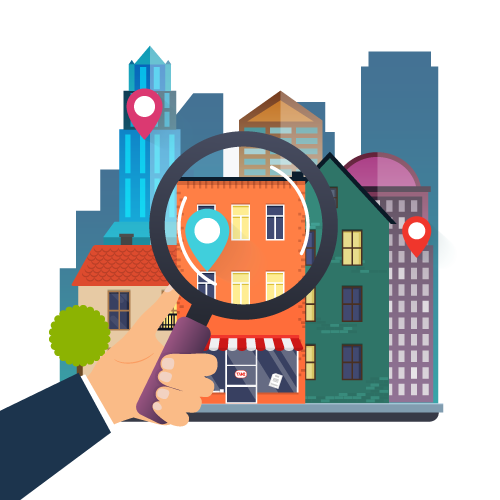 The other school of thought holds that at least some planning and structure will generate a stronger HyperLocal marketing campaign. You don’t necessarily have to know what you’re posting every day or even every week, but you should have a general idea of content “milestones” you want to try to hit and a plan for doing that. Start by looking at a calendar, a full twelve months, and asking yourself what business patterns you see during that time period. Think about what big events take place in your hyperlocal marketing area, too — are there haunted house tours or can’t-miss holiday lights that are perennially popular? Don’t forget about the homeownership milestones, like tax season or any seasonal maintenance that’s a must in your target neighborhood. Pencil all of it in and you’ve got the beginnings of a content calendar. You can take this a step further by sketching in any frequently asked question posts, guides or other lead magnet-type pieces of content that you want to include in your calendar. Then share it with your manager and your creative resources (see above!) so they can start work! One easy way to increase the engagement rate and effectiveness of your content is to consider the images you’re using on your blog posts or social media campaigns. Those images are just as important (and possibly even more so) than the words you share. If you fail to use an image that connects with your target audience, then you’ll never know how many of them scrolled lazily past a piece of content that was perfect for them. Whenever possible, use images of humans in realistic settings. That’s not always going to be easy, especially in real estate — so remember the third guideline and aim for eye-catching and shareable if a staged room, cityscape or listing photo is all you’ve got to work with. Think about what would stand out or “pop” to you if you saw it in your Facebook feed or on Twitter. Odds are that’s something dynamic and fresh — and not an exterior view of a listing — so tread carefully if you’re bent on working those expensive listing images into your content plan. And unless you’re making some kind of joke or statement, it’s generally advisable to stay away from any “posed” images that clearly came from Shutterstock. You want to give an overall sense of your brand’s credibility, and using a lot of pictures with little to no basis, in reality, isn’t a good way to establish that feeling in your audience. It sounds crazy, but too many real estate businesses fail to understand how their clients (or potential clients) experience their own websites across multiple devices. If that describes you, now’s the time to get a handle on where and how your website is working for clients — and for you, not-so-incidentally. By now, you’ve probably seen the multitudes walking around with mobile devices — cell phones and tablets are absolutely everywhere, so your first step in website best practices needs to be implementing mobile optimization if you’re not there already. Your clients are finding you on their phones, so make sure they’re enjoying the website experience once they get where you’re sending them and not immediately trying to escape a subpar layout because it’s too tough to navigate. Once you’re feeling confident that you’ve mastered some of these advanced best practices, you can start tweaking them to fit your specific audiences. Maybe it makes sense to A/B test some images with your Facebook ads to see what’s resonating with your target audience, or perhaps you’ve built up enough of a following to start sourcing content ideas from your readers directly. But you’ve built a solid foundation for your HyperLocal content strategy, and that means you can keep adding new layers without fear of anything collapsing. You’ve mastered the “intermediate” level of hyperlocal content marketing — and if you want to become a master, there’s more to learn at the next stage: analysis, iteration, and reputation-building.